Leo scours the mean streets of Ruiner, a brutal cyberpunk brawler from vets of the Witcher series, Dying Light, This War of Mine and Shadow Warrior. Blade-Running beatdowns galore! 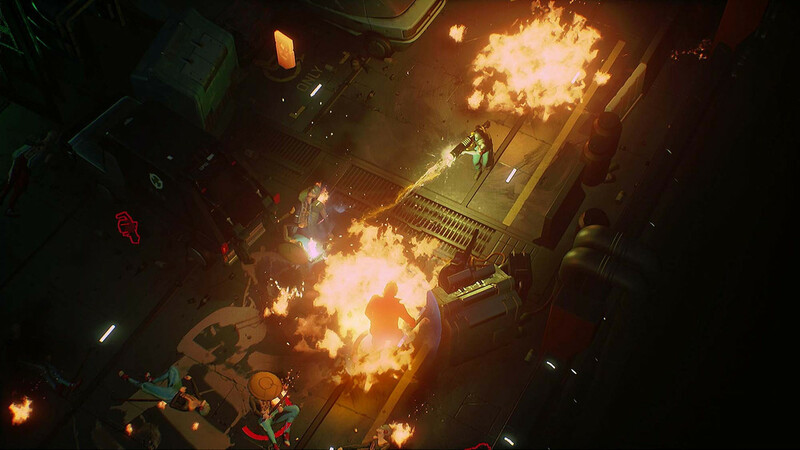 Reikon Games' debut title Ruiner sends you deep into a dystopic, cyberpunk underworld to battle gangs, killers, and assassins while in search of your kidnapped brother. 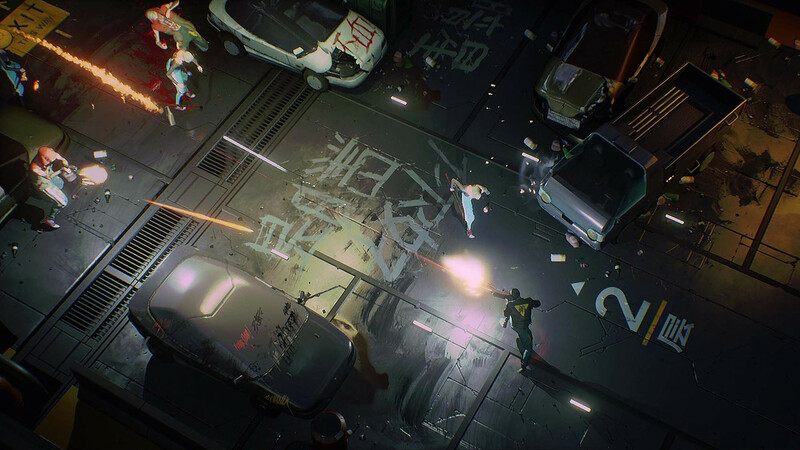 Between CD Projekt's marvellously macabre Witcher trilogy, Flying Wild Hog's hilariously mad Shadow Warrior reboot, and now Reikon's high-tech brawling action with Ruiner, Poland looks to be cementing itself as a serious gaming powerhouse. Featuring dark, industrial stylings evocative of Ghost in the Shell and Akira, Ruiner is a gorgeous dose of cyberpunk that comes as a sight for sore eyes, especially since CD Projekt's upcoming RPG Cyberpunk 2077 is still missing in action. Ruiner takes you to Rengkok City, where the inhabitants are clad in hard ink and futuristic fashion, and stars a cast of story characters that look like they walked right out of Cowboy Bebop. You're granted a few brief excursions into the city in-between combat missions to explore around and chat with the denizens, as well as hunt down passive-aggressive holographic cats to unlock extra weapon lockers in upcoming levels. The cyberpunk stylings extend to Ruiner's sound design, and it sports a collection of entrancing, high-tech tunes from a variety of electronica and techno artists. Fights are spurred on by Zamilska's heavy, acidic beats, which fade out to melancholic, somber tunes from Sidewalks and Skeletons for story sequences, and trips to the city hub are accompanied by Susumu Hirasawa's uniquely relaxing ambiance. Ruiner's selection of music is nothing short of masterful, and fits the tone and atmosphere of the game perfectly. You're unfortunately afforded little time to get to know any of it: while there are traces of a more complex world visible, the story is all but completely swept under the rug to make way for the action, and the neon-lit delirium abruptly concludes after only a few short hours with a weird, anti-climactic twist. Ruiner's combat is its main attraction, though as with the story, it suffers from the game's short length – by the time you've gotten to properly flesh it out, the credits are already rolling. The warpath has you traversing an abyss of machinery and production lines beneath Rengkok's streets in pursuit of your brother. The game plays from a top-down perspective, and has you sprinting from room to room, blasting enemies to pieces as you go. Skilled play is rewarded, as chaining kills together earns bonus points, and leftover guns can be converted into extra experience. It's not quite a futuristic Hotline Miami, as rooms are spread apart fairly widely by comparison to Miami's LSD-infused rampages, though Ruiner's action keeps a similarly manic pace. Enemies are incredibly mobile, and will constantly lunge, dash, jump and teleport around arenas to chase after you. Dispatching foes in melee restores energy, which fuels your abilities – the momentum of the combat makes for a fiendish rush once you establish a rhythm. Levels maintain a brisk flow, with new weapons and enemies being introduced at a fine pace, keeping the action fresh throughout. Ruiner's fights don't hold back, however. Later sections can be brutally challenging, but you're never out of the action for long after death. Respawning is only a button tap away, and skill points can be reassigned at any time – even during combat – allowing you to adapt your fighting style as needed. Gunplay doesn't fare quite as well as close-quarters combat, as most guns lack a proper punch. The action's breakneck pace renders aiming with a controller unreliable, and some weapons are almost impossible to use effectively as a result. Conversely, using a mouse and keyboard offers much more precise aiming, but troublesome movement, as running with WASD is awkwardly bound to the angled perspective of the camera. Ruiner's supremely stylish experience comes with a price, as practically every element of the game is hamstrung by its cripplingly short length. Its sci-fi smackdowns offer some high-octane thrills with its breakneck action and pulse-pounding soundtrack, but its face-melting vision of the future is cut too short for comfort. Ruiner's cyberpunk carnage and soundtrack evoke Hotline Miami, even if the gameplay doesn't quite measure up. It's a spectacle, but it's over too soon. Ups Cool visual stylings. Great graphical effects. Excellent soundtrack. Brutal, high-speed action. Rewards skill. Downs Very short. Fiddly controls. Underutilised story. Underwhelming guns.